To our Walk-in Customers–Come on over for a visit next Wednesday morning or Friday! We’ve got some tasty meals and refreshing drinks waiting for you! We love to celebrate birthdays, baby showers, workshops, and other special events with you. 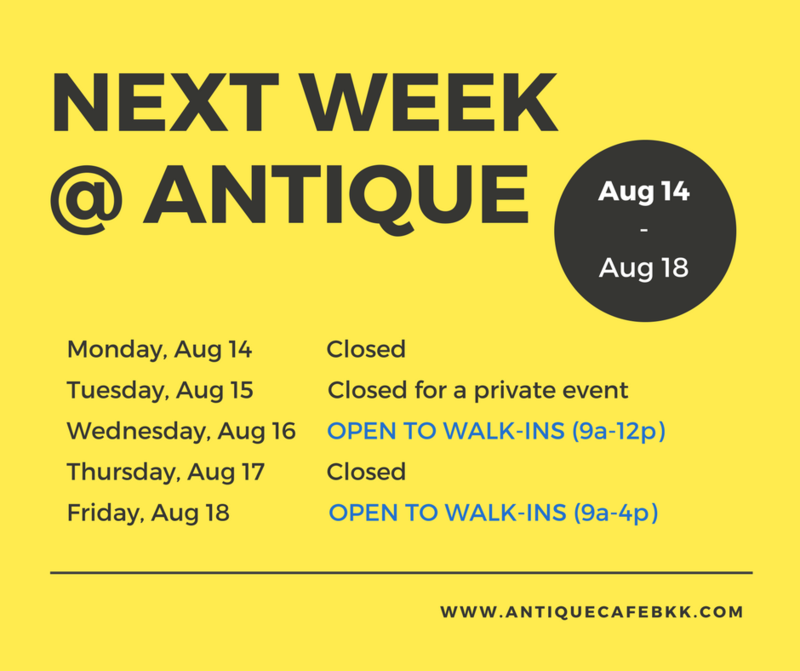 Please consult our calendar below for available dates and email antiquecafebkk@gmail.com to request more information. © 2015 Antique Cafe & Cakes. All rights reserved.